There are two parts in this worksheet. 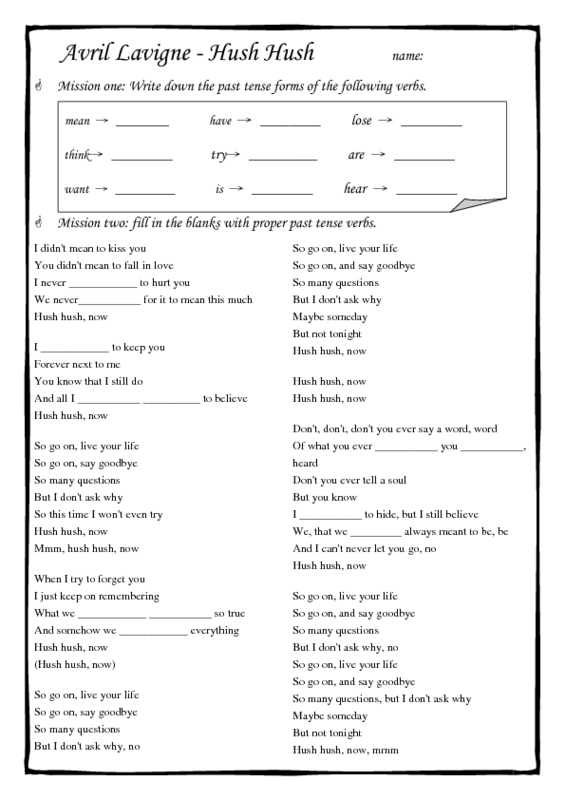 Students should first write down the past tense forms of verbs in the song. 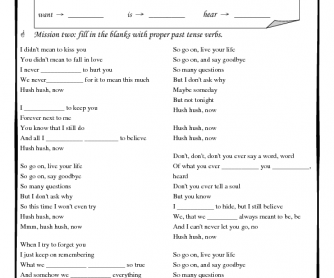 Then, they listen to the song and fill in the blanks by using those past tense verbs above. This is going to be an interestinng classroom activity to learn past tense and have fun at the same time.